The time went on. There were many owners, most of them were Hungarian nobles. The castle changed also. It was encircled with wood palisade, which called palanok. That’s why the whole castle some times later called Palanok. 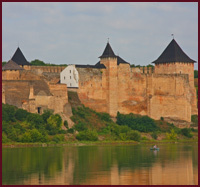 The important page in the history of the castle is XVI century. In 1526 the Hungarian army came to grief near Rohach. And the result of it was the beginning the struggle between Austria and Transylvania for Hungary. The main reason of this struggle was Palanok. 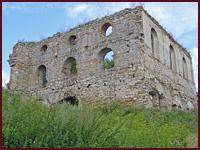 In the middle of the XVI century the castle was practically completely destroyed. It made Austrian commander Sh. Forhach. 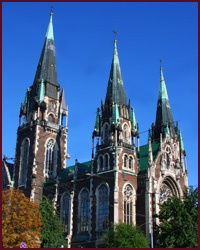 But it was rebuilt by king Maksimilian II. He understood it military potential and strategic reliability too well. In November 1685 began seven-month siege of the castle by Austria army. Attacks were were powerful, but had no success. All Europe was surprised. But in 1687 the new siege began again, but it hadn’t success too. Austrian generals understood all lack of prospects and decided to conquer with help of war ruse. In XVII century the castle rebuilt again. Long walls didn’t met the requirements and that’s why it were shortened. Square towers were changed by round. The outside defense zone changed too. 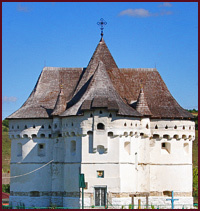 In 1703 the castle was the center of main political incidents - the national liberation war of Hungarian nation. After hard siege rebellions grasped the castle. From this time it became the bulwark and center of all war operations. The leader of rebellion was Franc II Rakoci. And again the castle rebuilt to war standards of XVIII century. There were built star-shape system of redoubts and dug a deep ditch, which was filled by water.